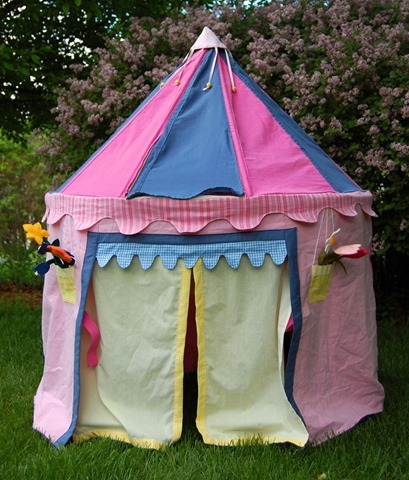 This â€œPrincess Pavilion Tentâ€ from Ikat Bag is absolutely amazing! A round table gives the base its structure and wooden dowels help shape the top. There are many more details so go check it out here! P.S. Thanks for your patience while we got our technical problems straightened out. Brighthouse came by this morning and replaced our modem, so weâ€™re back in action now!